My car is back with several new hoses. Y'all ready for that I-5 closure? That's practically all they talk about on the news and in the paper lately. It's gonna be a mess. I'm glad I don't have to go through there much, but it'll bugger up the airport trips a bit. I was left with instructions this morning to make a pie. Cripes. I'm all about baking but I'm soooo rushed right now it wasn't real high on my list of things to be thrilled about today. I did it anyway. You know what one of my favorite things is about pie? The leftover dough from the crust. 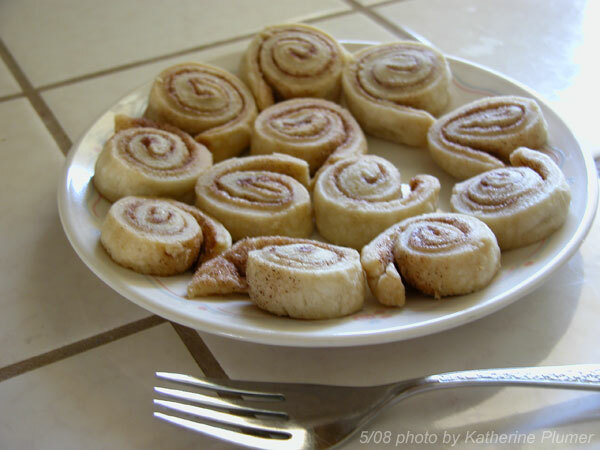 Not that pie crust dough tastes good (it's kinda gross on its own I think) but it makes lovely mini cinnamon rolls. These things are highly addictive, like it's tempting to make a HUGE batch of them out of a whole recipe of pie crust dough (actually that's not a half bad idea if I ever need to make finger food sweets for a big crowd, hmm). And then the artwork (here we go on the futile subject again). Obviously I hadn't worked on the scrim at all recently. 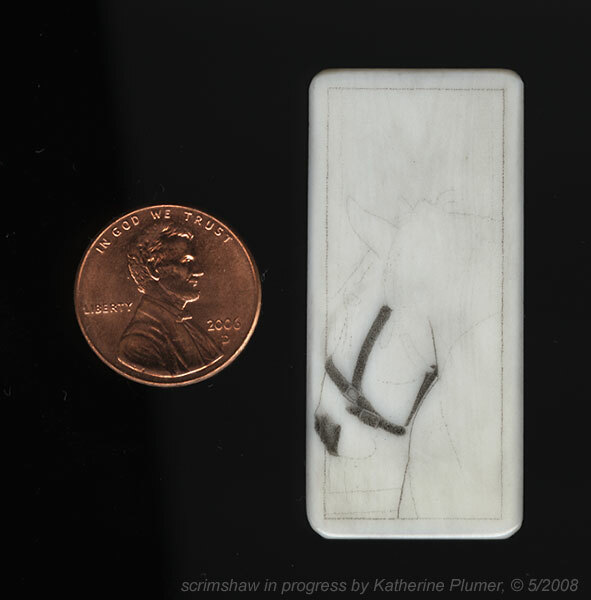 It's slow going, more so than some others because this is a very hard piece of ivory. It's interesting to me how variable the ivory is, but I guess that's like some people have hard fingernails and others don't. So this has to be done by Monday afternoon if I'm going to enter it. A few hours tomorrow, all day Sunday, can I finish Monday? I really don't know but I'm sure going to try!